When you want to replace your current water heater with a better model, call Star Cities Plumbing & Heating. We provide affordable and prompt water heater installation services for Manhattan & Brooklyn residents. You are much better off hiring us to take care of your water heater and plumbing problems rather than a large chain store. You are guaranteed to get the best service from an honest and reliable New York City plumber. Since we are a locally owned business, you can be sure your needs will be looked after and your water heater will be installed in an efficient manner. A current trend in the water heating industry is moving toward the efficient tankless water heater. Instead of holding a reservoir of pre-heated water, a tankless heater heats water as you need it. They typically use gas to quickly heat water directly before you use it. 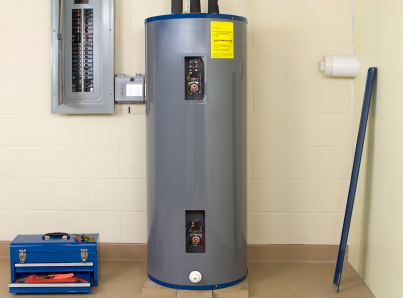 Upgrading to a tankless water heater can save you a substantial amount of money every year on heating costs however the initial installation investment is more expensive than a traditional water heater. If you are wanting to living a greener lifestyle, a tankless water heater installation appointment is definitely for you. Never be swindled by a shady serviceman again; hire a trusted local business like Star Cities Plumbing & Heating instead. We are committed to providing round-the-clock service for New York City residents at competitive pricing. To schedule an appointment to install a new water heater, call us at 800-547-1422 or fill out our online contact form. We at Star Cities Plumbing & Heating are ready to show you what a plumber can do for your plumbing and heating needs.